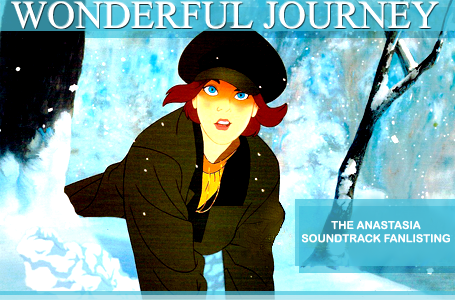 Wonderful Journey is the approved fanlisting for the Anastasia (1997) movie soundtrack. It was approved by tflorg on March 15, 2008. Pretty soon after that I was contacted by Buruma, the former owner of the fanlisting, and was given the fans list, so basically I adopted it from her after the fact. Besides being part of tflorg, it is also part of The True Kindness Network.